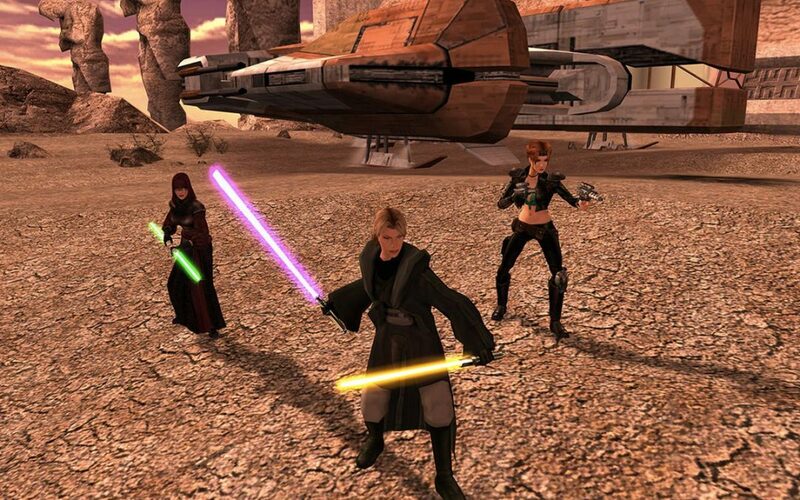 A former Obsidian writer reveals what the studio had in mind for Star Wars: KOTOR 3. Legendary video game writer Chris Avellone (Fallout: New Vegas, Star Wars: Knights Of The Old Republic 2, Planescape: Torment), recently revealed to VG24/7 what KOTOR 3 would have been about had Obsidian gotten the chance to develop it. Avellone describes exploring parts of the galaxy that the ancient Sith had “left their stamp” on, which makes the game sound like a horror thriller in some respects. In fact, it sounds like much of the storytelling would come through your exploration of these environments and the few details of what happened that you’d find along the way. Despite the ominous nature of these expeditions, though, Avellone says that you would have actually been able to find out quite a lot about the ancient Sith as opposed to the way that the recent Star Wars films didn’t reveal much about Snoke. While Avellone also suggests that Obsidian wasn’t necessarily promised the chance to develop a third KOTOR game, he’s also not entirely sure why the project was cancelled. We’ve heard about that BioWare pitch before, and Avellone also goes so far as to suggest that the reason why we haven’t gotten a third KOTOR game from anybody may have something to do with the series’ overall sales or the industry’s general disinterest in single-player experiences. However, he admits that he doesn’t really know the answers to these questions.